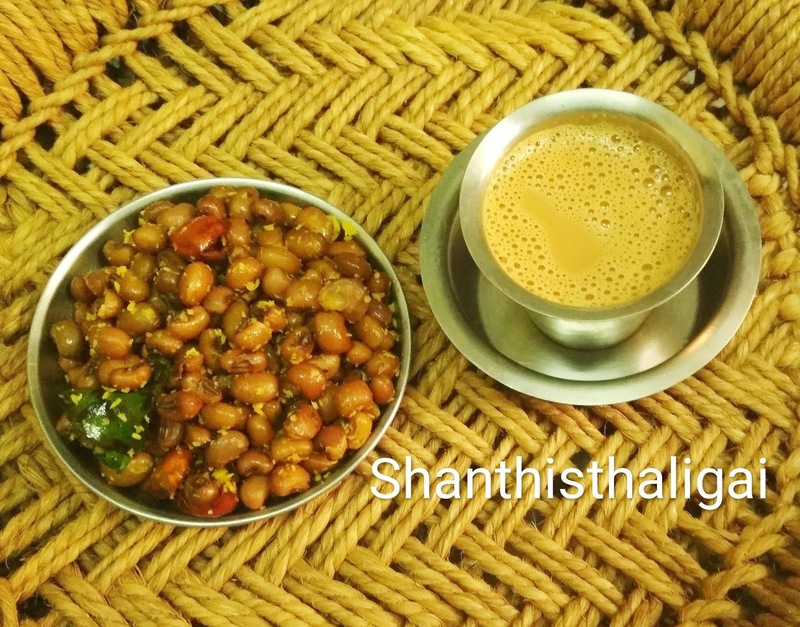 Cow peas / cow gram, karamani in tamil, is available in two varieties red and white. It is rich in fibres and protein. Red karamani (cow gram) - 1/4 kg. Dry roast karamani, soak for 2 hours and pressure cook alongwith salt for 2 whistles or until soft. When the pressure releases, take out, drain the water and keep aside. In a kadai, heat oil, add mustard seeds, and when it splutters, add urad dhal, red chilly, hing, turmeric powder and curry leaves. When urad dhal turns golden brown, add the coarsely ground mixture, saute for a minute. Now add cooked karamani and mix well. Add grated coconut. Mix well. Serve hot or warm.